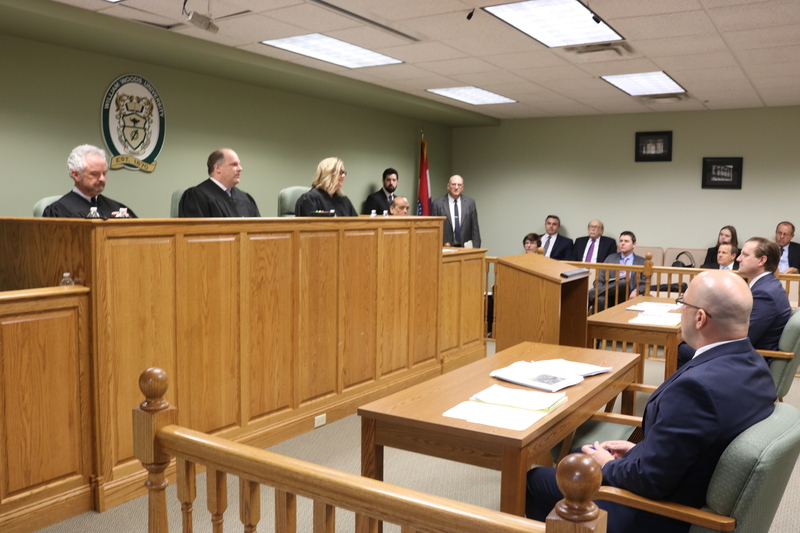 For the 27th year, the Missouri Court of Appeals, Western District, returned to William Woods on April 3rd to convene court in the university’s unique model courtroom on campus. This year, the annual visit of the Court’s three-judge panel to WWU’s Bernard Wietzman Model Courtroom represented a homecoming of sorts. Judge Kelly Broniec ’92 returned to her alma mater to hear oral arguments in four cases in the appellate court, serving alongside Presiding Judge Edward Ardini Jr., and Judge Rex Gabbert. An Associate Circuit Judge in Montgomery County, Judge Broniec was thrilled to be back at The Woods, taking part in what has become a unique benefit offered to students interested in a career in law at WWU. 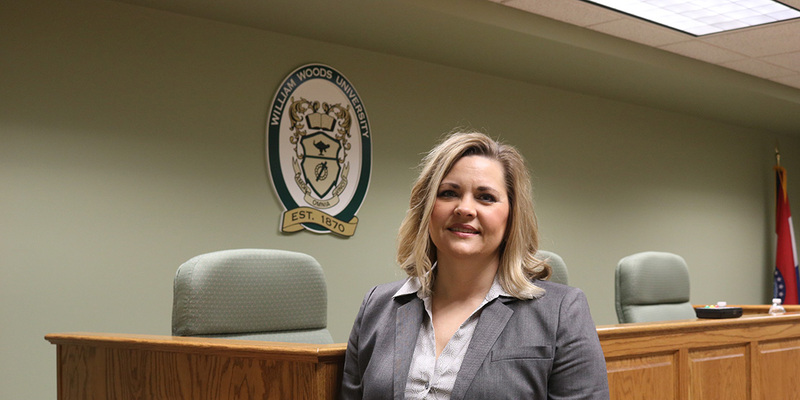 Judge Broniec was a Business major at William Woods when she was a student, when her interest in Law was sparked by taking a Business Law class. After taking more Legal Studies classes, Judge Broniec added a Legal Studies minor, and her professors encouraged her to pursue law school. 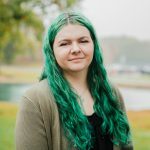 The summer after graduating from WWU, Judge Broniec had an internship working for a local prosecutor and was able to experience the criminal law aspect. She then went on to the University of Missouri-Columbia School of Law. The model courtroom at William Woods provides just that for students – great practical experience. Students not only get the feel of being in a courtroom, but also the added bonus of seeing the difference between the trial and the appellate level when they sit in on the Missouri Court of Appeals, Western District in action each year during its campus visit. In 2018, Judge Broniec was honored as the recipient of the Women’s Justice Award for Public Service by Missouri Lawyers Media. This award recognizes women in all facets of law, including general practitioners, litigators, in-house counsel, law students, public servants, and those doing pro-bono work. 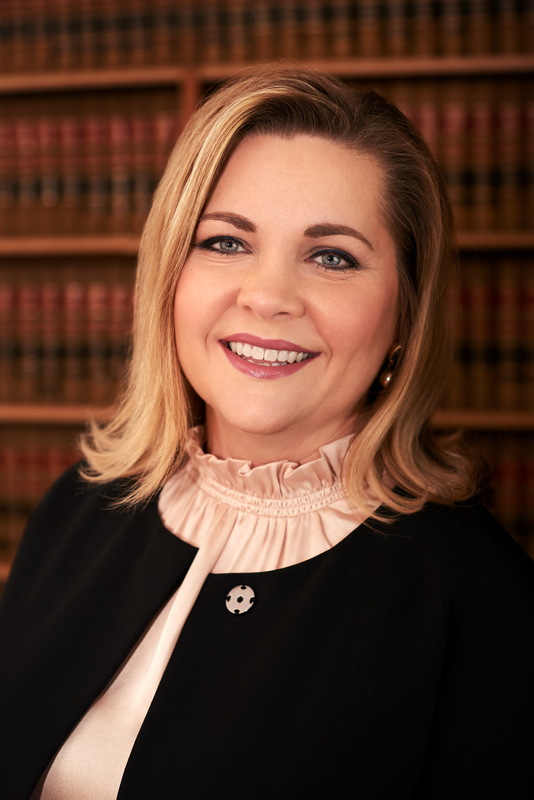 Serving in a rural county in Montgomery County, her circuit covers three counties including Audrain and Warren counties, where Judge Broniec handles all the juvenile court cases for the circuit.